Is Motorola planning a sequel to the Motorola DROID BIONIC? The heavily hyped handset was on everyone's mind from the moment it first appeared at CES 2011, to its redesign, and finally its launch. Unfortunately, the Motorola DROID BIONIC was quickly overshadowed by the Motorola DROID RAZR with its "impossibly thin" form factor. Still, there are those who swear by the device and believe it to be one of the manufacturer's better handsets. Mostly because Motorola has moved on with the Motorola DROID RAZR and the Motorola DROID RAZR MAXX and another model that appears to go by the name the Motorola DROID Fighter, no one has given a thought to a sequel to the DROID BIONIC. That is, until now. As many of you know, Asurion is an insurance company and one of the things it insures is smartphones. On its web site is a enrollment form to fill out for those wishing to insure a handset. Under Motorola, one of the devices listed is the Motorola DROID BIONIC 2. Droid-Life might have figured out what is really happening here. 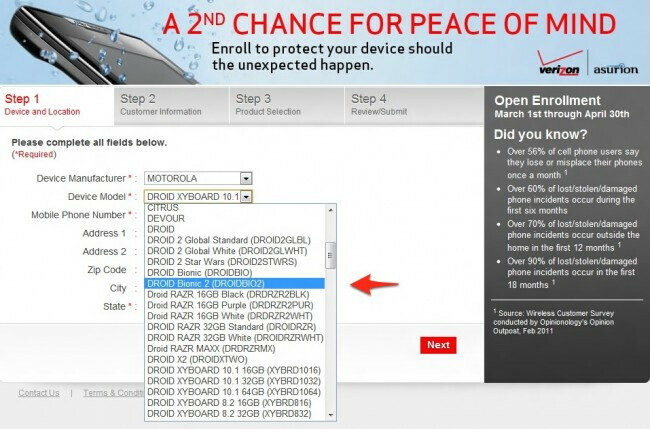 According to the site, the listing for the Motorola DROID BIONIC 2 could simply be a placeholder for the model being sold without a 16GB microSD pre-installed. And considering that Asurion has a separate listing for all of the different color variants of the DROID RAZR, well this explanation makes more sense than the possibility of a sequel for a model that isn't even discussed at cocktail parties anymore. 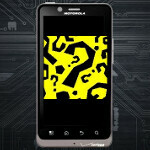 Is Asurion outing the Motorola DROID BIONIC 2? I got a few buddies with the bionic, I've played with it a few times and personally I think its an amazing phone that never got the credit it deserved, if I were to go to Verizon it would be my pick. Hopefully number two gets its time in the spotlight, unless MOTO releases another razr variation a month later again, which wouldn't surprise me. You know what, Motorola...you can keep the Bionic 2...honestly...just keep it. I would take the Bionic over any of Samsungs new devices on Verizon. Samsungs only superior phone would be the Note. I haven't had a chance to use that, though. After selling all variants of phone manufacturers, no phone comes with better stock applications than a Moto. You have to buy doubletwist/airsync to get what motocast does. You will not get anything like smartaction on any other phone that can do what smartaction does. Granted the screen is a definitely worse than the iPhone, Rezound, and Nexus, they have done something that no other manufacturer has successfully done, put a battery in a phone that lasts longer than a day. I have had more Nexus and Rezound phones brought back than any phone. Most people get the iPhone because of the Jones Effect. In fact, most people that come in wanting the iPhone don't end up getting the iPhone after showing them the pros and cons of both the iPhone and the Razr Maxx. the Maxx always wins unless they have other Apple devices running on the icloud. They should have pimped out the old Droid X with better processors and screen resolution instead of making it thin and calling it the RAZR. it would be interesting if that leaked Behemoth of a phone from Moto & Verizon is a Droid Bionic 2 but i think it's more likely this is just a place holder in Asuron's system for a different variant of the Bionic like the 16GB only version. No need for this device, but could it be the Droid Fighter?? Bionic 2? I thought that was the Droid RAZR. dam, i wanted the original bionic ever since i seen that commercial and it showed what it can do. "take over alll other machines.."lol yeah i wanted that. if there is a successor to it, i will most likely want IT as well! when will it be released if at all?